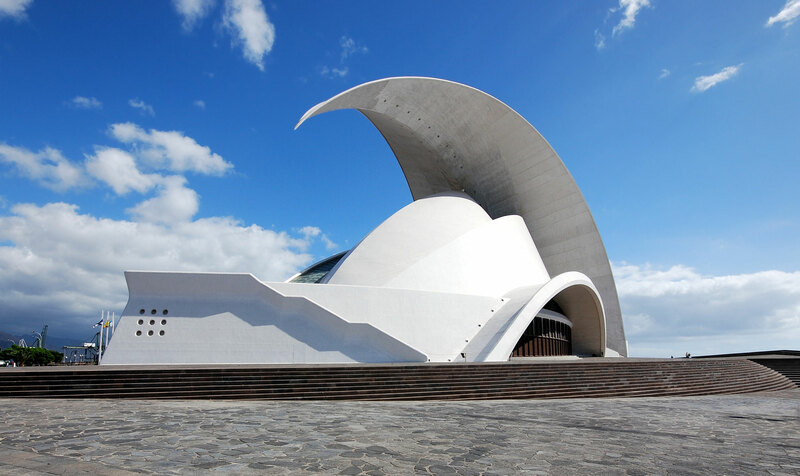 The Starmus International Festival — an international gathering focused on astronomy and space explotation. The Festival has featured Stephen Hawking, Neil Armstrong, Brian May and others. 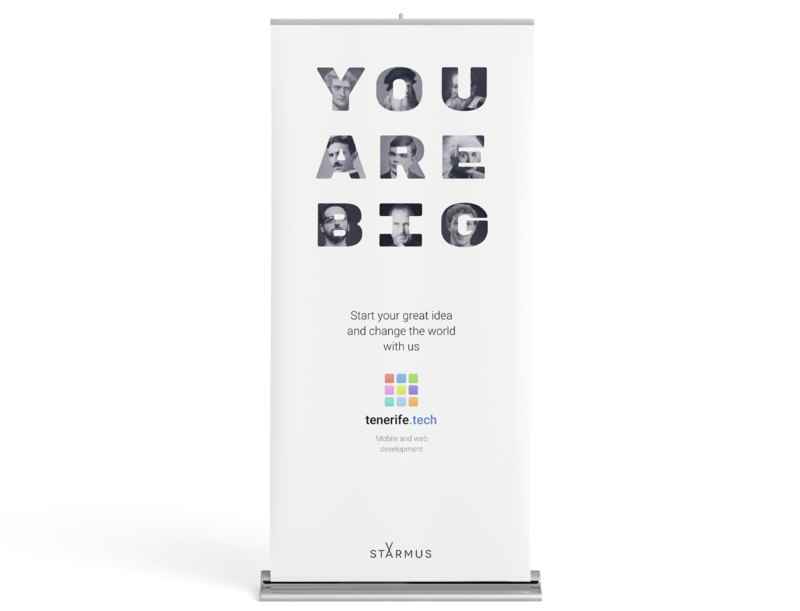 Litvinsky Studio in cooperation with Tenerife.tech company has created advertising roll-up calling people to be brave and start working on their ideas. 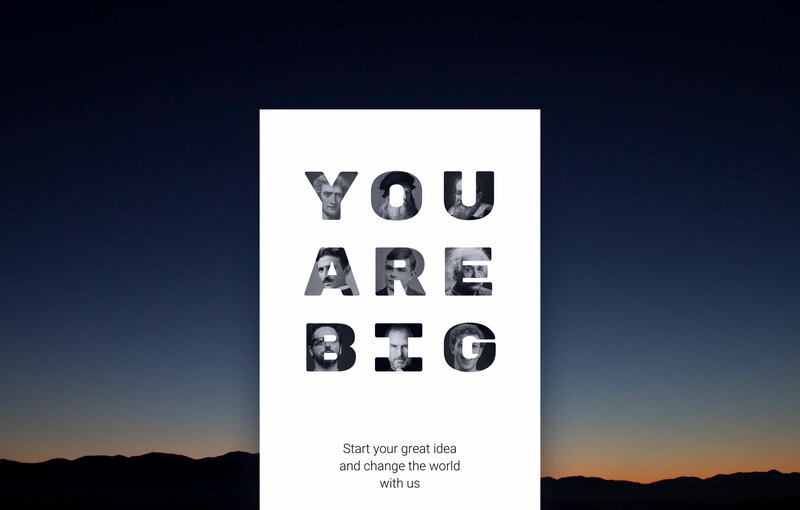 You are big — slogan we found for this campaign. 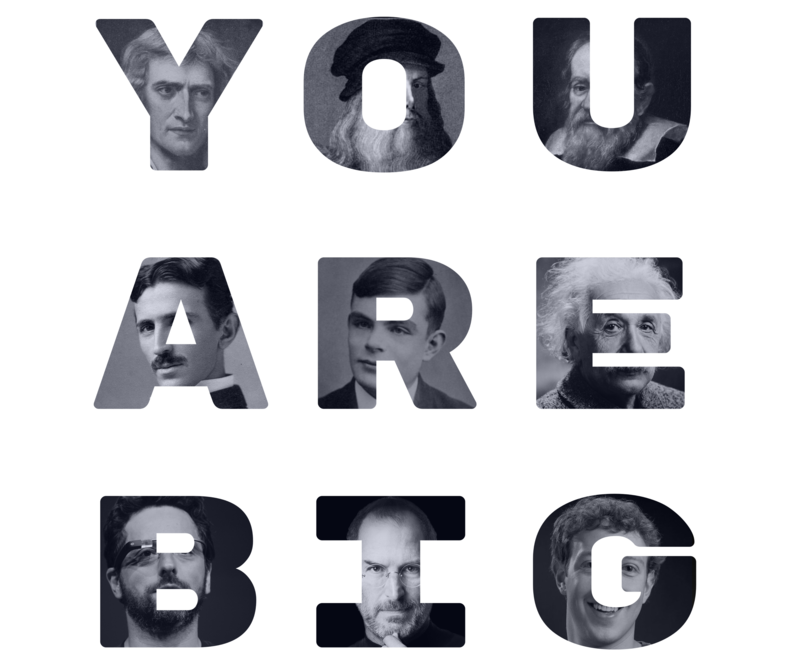 For inspiration we’ve used the portraits of the famoust “big” people, related with astronomy, physic and IT.